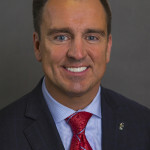 After a rough week in the Rio Grande Street area, House Speaker Greg Hughes had finally seen about enough. Prompted by a fatal hit-and-run, the beating of a minor league baseball player and a drug sweep aimed at driving a cartel out of Pioneer Park, the speaker said the homeless situation in downtown Salt Lake City is deteriorating and it may be time for the state to take the lead. Hughes is to be commended for speaking out on this now. The state should have stepped in months ago, and why Gov. Gary Herbert has been entirely absent on the issue is confounding. Hughes has been publicly advocating for solutions to the homeless problem for about two years and has been grumbling less publicly about wanting to see more results with the tens of millions of dollars the state has contributed to the effort. Now he’s concerned that the predicament in downtown Salt Lake City has gotten worse. City officials contend that the statistics show crime has dropped and things are headed in the right direction. Whether that is so or we’re seeing blips in the reporting of crimes downtown — which I suspect is the case — we have not seen the progress we would hope for. Part of the reason seems to be the well-publicized examples of contention and conflict between the various supposed partners — disputes and turf battles between the various providers and nonprofits, clashes between Mayors Jackie Biskupski and Ben McAdams and between departing Sheriff Jim Winder and pretty much everybody. Remember how, when Winder announced he was bolting to be the Moab police chief, he told reporters he no longer speaks to the mayor? It was astonishing. When the county sheriff won’t communicate with the elected official in charge of cleaning up Pioneer Park, something has to change. But the real problem goes well beyond people not playing nice. The problem is that everyone is trying to tackle an immensely complicated problem on a piecemeal basis. Just consider all of the help a single homeless family might need to begin rebuilding a life: federal housing waivers; county substance abuse or mental health treatment; food and clothing from nonprofit organizations; enrollment in a school district; state employment assistance; health care coverage through Medicaid and the Children’s Health Insurance Program; and perhaps transportation help from the Utah Transit Authority. There are so many moving parts that we cannot pretend this is Salt Lake City’s or Salt Lake County’s problem. We need a holistic approach, and a homeless action director at the state level that Hughes proposes could be uniquely positioned to fill that role. A group — Shelter the Homeless — already brings many of the partners together, including the state, county, city, LDS Church, Catholic charities and business leaders. The effort is showing results. But the position cannot just be a coordinator. He or she needs to be given broad authority and real power to act in an official capacity on behalf of the partners involved. The city and county mayors and the governor should declare a state of emergency in downtown Salt Lake City and designate authority to the homeless czar to manage the response. In addition to making a statement that they are serious about addressing the issue, designating a homeless czar would streamline the process for deploying law enforcement, designating jail beds, spending money, setting curfews and making the decisions necessary to protect the health and safety of the public. The homeless czar could create a united, collaborative homeless action plan — something we still haven’t seen thus far — that draws on the resources and talents of all the organizations involved. The office should become a clearinghouse for data and create metrics so we know where money and energy could be better spent and to establish best practices to guide our on-the-ground efforts. A state-level homeless director also would be uniquely placed to push federal partners to get involved — more affordable housing grants, Medicaid money for substance abuse and mental health treatment, more funding for veterans housing, collaboration with the federal Drug Enforcement Administration and immigration enforcement — and to make sure those resources get to where they do the most good. We have vast health and safety and housing resources at our disposal, and until we begin to deliver them to people in a more efficient, holistic way, we’ll keep nibbling at the ends of the problem and the people and families in need will continue to suffer.